One question we are asked all the time is, “can you smell mold?” The answer is, it depends. Where there is a musty smell, there is most likely mold. However, mold does not always have an odor to go with it. Just to clarify, mold is everywhere. 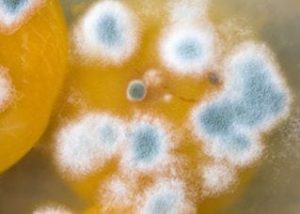 Mold can grow indoors, outdoors, on many different types of surfaces, food, clothing, and the list goes on. So, when you can smell mold, what does it smell like? Well, that depends. 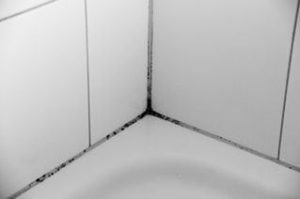 Smell is one indicator that you have a mold problem in your home but how do you know if you have mold if it doesn’t have a smell? Changes in health. Current allergy sufferers or people sensitive to mold, may perhaps feel an increased irritation to the throat and eyes, nasal stuffiness, coughing or wheezing, and in some cases, skin irritation. On the other hand, in otherwise healthy people, the development of allergies or upper respiratory tract symptoms could begin to develop. Your course of action depends on whether you are smelling a moldy odor or your overall health has changed. 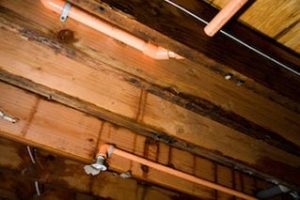 If you can smell a moldy odor, you need to first have the source (where the moisture is coming from) repaired AND THEN clean-up (or remediate) the mold. Without first removing the moisture source, the mold will continue to come back. On the other hand, if you are experiencing a change in your health and connot smell or visibly see mold anywhere, you should have your home professionally inspected. There are mold testing kits available at home improvement stores BUT we recommend using a professional inspector. Mold is sensitive and testing must be performed correctly to deliver accurate results. Professionals also know and understand what mold levels are considered normal and acceptable, and the type of mold that is growing. So we come back to the original question, “can you smell mold?” and still, the answer is — it depends. Besides visually seeing mold, paying attention to those unpleasant or faint “off” smells around you and your health symptoms are the best indicators. Control the mold growth in your home by checking that humidity levels are set at comfortable levels (below 50% relative humidity), fix any leaky pipes, roofs, or windows, make sure showers, laundry and cooking areas are properly ventilated and dif you do or did have a flood — thoroughly clean and dry the area. To learn more, check out our other mold topics and PLEASE email us if you have any additional questions!